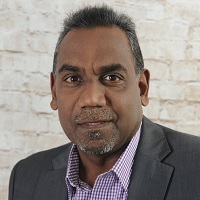 Sustainability and Transformation Plans (STPs) present an opportunity for pharma to work with different stakeholders to support research into mental health conditions and analyse data to establish where knowledge and treatment gaps exist, suggests Laurence Mascarenhas. Ensuring that mental health is given the same priority as physical health has become a key government priority in recent years and is now being driven by NHS England’s Parity of Esteem (PoE) Programme. Sustainability and Transformation Plans (STPs), which are currently being developed as part of the Five Year Forward View, will play a critical role in implementing the changes needed to achieve PoE. These are not statutory bodies, but collective discussion forums bringing together health and care leaders to support delivery of improved health and care based on local population needs. STPs will work across 44 geographical areas, or ‘footprints’, and have been tasked with reversing the historic underinvestment in mental health, thinking more holistically across mental and physical health, and integrating both services. Though STPs are not due to be introduced until 2017, a number of council leaders have recently defied NHS England advice and published draft STPs without prior approval. Once these plans are approved, STPs will bring major changes to the way that the NHS operates, since they will require all NHS healthcare providers, from primary to specialist, as well as social care, to work together within the ‘footprints’. This presents many opportunities for pharma to shape the way that mental health services are delivered by working with a variety of different stakeholders, many of whom they may have had limited, or no, contact with in the past, such as local authorities, charities and patient groups. To engage with stakeholders in new areas, pharma companies need to communicate the fact that they are not simply drug manufacturers, but have a huge amount of expertise in mental health and can provide support in critical areas, such as new research and evaluation of existing data and education. 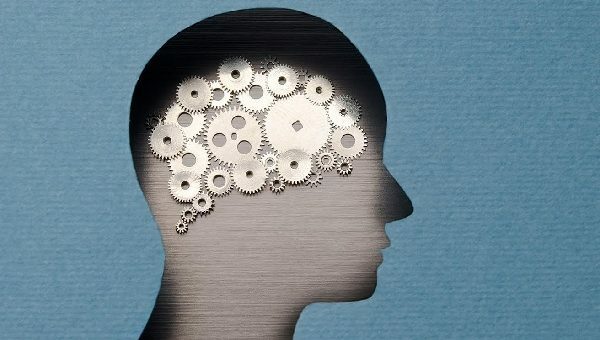 Research is particularly valuable since physical health conditions, such as cancer, heart disease and orthopaedics, are currently the subject of much research, but mental health conditions are receiving little attention. It would be extremely valuable, for example, for pharma to analyse the vast amounts of data held by NHS Digital, including Mental Health and Hospital Episodes Statistics. The data could be used to conduct an audit of what is happening in mental health across an STP, or even within particular GP practices, in order to highlight regional variation and gaps in service provision, and compare them to the national picture. Research into issues, such as co-morbidity, would also be valuable since it is widely known that people with mental health problems often suffer from a range of associated physical problems arising from lifestyle issues such as a poor diet, alcohol abuse and smoking. Similarly, patients with long-term physical conditions tend to have mental health issues; hence pharma could support integrated care initiatives within STPs by, for example, doing research to find out if patients with long-term physical health problems are having regular mental health checks. Pharma could educate groups of GP practices/Clinical Commissioning Groups (CCGs) in footprints, too, in order to make them more aware of the physical health problems associated with mental health issues. This would help to ensure that more patients with mental health issues are diagnosed early in primary care and referred on to appropriate services. There is also a big role for pharma to play in funding research and supporting clinical trials to further explore the side effects of drugs that are used for a variety of conditions and are known to cause psychosis. These include drugs for conditions ranging from diabetes to dementia. Pharma should also be consulting with GPs, hospitals, commissioners and patients to fully understand the wider impact of this issue. STPs will present opportunities for pharma to liaise with Public Health, which sits within local authorities, to run educational campaigns to raise awareness of mental health problems and encourage people to visit a GP sooner. In addition, pharma could work with Public Health to tackle the stigma attached to mental health problems by, for example, running educational campaigns. Pharma needs to engage with STPs to promote better compliance with National Institute for health and Care Excellence (NICE) guidelines and to help ensure that there is more choice in psychological therapies. One way of achieving the latter is to demonstrate the value of prescribing drugs which may be slightly more expensive, but which will generate savings in the long term by improving quality of life for patients. To get these projects off the ground, pharma needs to be opportunistic. While STP chiefs may be hard to pin down, there is scope for pharma to work with other people within CCGs, such as clinicians. For example, pharma could help them develop a business case for a much-needed new drug or diagnostic tool, and push the proposal through the relevant approvals committees. In conclusion, STPs represent the biggest change to the NHS since the publication of the Five Year Forward View in 2014. Pharma companies need to monitor their progress closely in order to take advantage of opportunities to provide support in areas such as research, evaluation of existing NHS Digital data, and education for GPs and the public. In this way, the industry can help to change attitudes to mental health, shape the development of new patient pathways and thereby provide a valuable contribution to the PoE programme for mental health. Laurence Mascarenhas is Associate Director, Wilmington Healthcare. With 20 years’ experience of working in the NHS, he has conducted service reviews, redesigned care pathways, and implemented transformation projects for various long-term conditions, including mental health. He joined NHiS Commissioning Excellence in 2016. Wilmington Healthcare brings together the data intelligence specialisms of Binley’s, NHiS and Wellards to create a healthcare data, education and information resource with analytics capabilities.